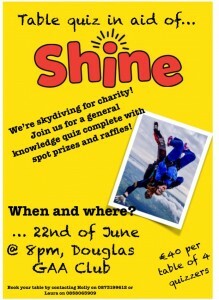 The Shine Centre is a Voluntary Organisation and a Registered Charity. We provide services to over 70 children, their carers, Teachers and parents on a weekly basis through our Early Education Unit, Personal & Life Skills programme, Life Skills and After Schools Programmes and our Building Blocks Educational Support Service. We also work with the parents of our children in the areas of training, parallel learning and our advice line service. Hundreds of families have benefited from the support of Shine since it was established in 2001. 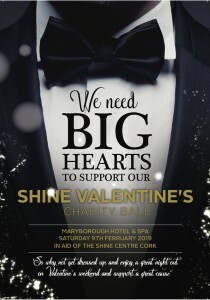 Many of the services that the Shine Centre provides receives no State funding so the organisation relies heavily on our fundraising efforts to cover these costs. 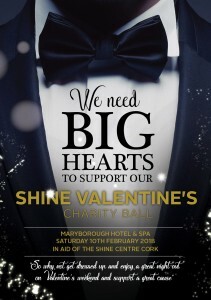 If you would like to become involved in one of the fundraising initiatives that Shine operates we would be delighted to hear from you. •	If you are holding an event and you are looking for a charity to benefit from it we would be delighted to hear from you. We as an organisation will get behind the event and assist in any way that we can through volunteers, promotion or cost. •	If you are participating in an event such as a Marathon, Skydive or anything else we can supply sponsorship cards, tee-shirts and publicity and we would be delighted to assist you in any way possible. •	If you would like to organise an event such as a Cake Sale – Coffee Morning – Table Quiz or any other kind of fundraiser we will actively promote the event to our families and friends. We will also advertise the event on our website and Facebook page and assist in any other way that we can. We have worked with many of Ireland’s largest companies in the area of Corporate Social Responsibility (CSR). 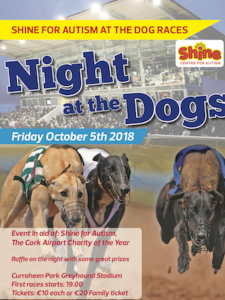 Shine as an organisation are well aware of our responsibilities to deliver on our commitments once funding is received from donor companies and we have always done that to date in our work with IBM, BNY Mellon and Laya Healthcare through our Smarter Senses Programme. We would be delighted to discuss any opportunities your company may have through your CSR policy.